It's been months and months since Facebook bought WhatsApp for $19 billion (about £9.5b, AU$17.7b), and the European Union has finally signed off on the deal. EU regulators revealed in September that they were investigating the acquisition for potential antitrust violations. That investigation included surveys sent out asking Facebook and WhatsApp competitors asking whether the deal will lead to raised prices or deter innovation. But today the EU gave the deal a great, big "OK" gesture, curling its collective index fingers and thumbs into the shape of a circle and holding them up for all to see, reports Reuters. "We have carefully reviewed this proposed acquisition and come to the conclusion that it would not hamper competition in this dynamic and growing market," European Competition Commissioner Joaquin Almunia said in a statement. "Consumers will continue to have a wide choice of consumer communications apps." 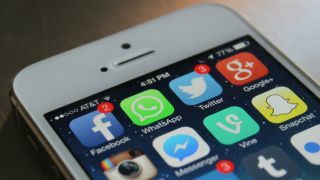 WhatsApp is reportedly poised to add voice calling to its messaging service, but nevertheless the EU found its merger with Facebook poses no threat to competition. The deal is good for WhatsApp, though, which experienced a surge of 500 million new users in the immediate aftermath of Facebook's purchase. And no doubt Facebook sees something in the service as well - even for the largest social network in the world $19 billion ain't exactly chump change.